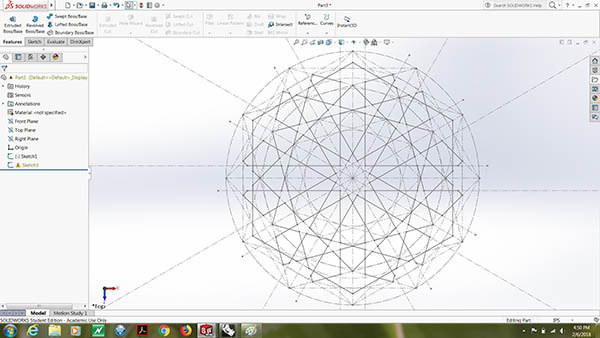 The endless possibilities that gridded geometry offers to 3D and 2D design is fascinating to me. 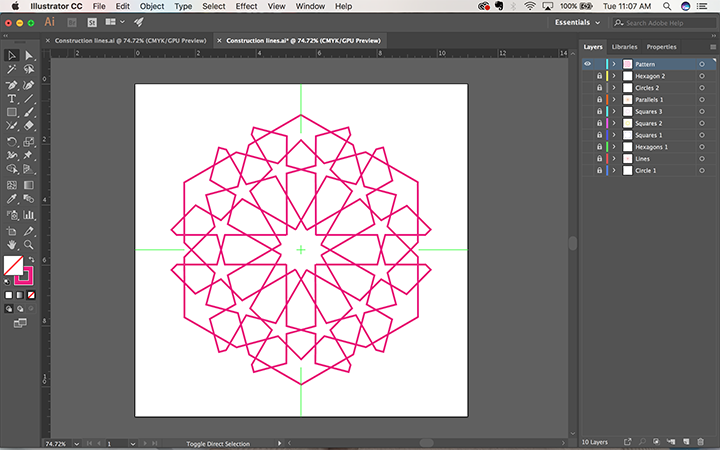 Islamic Geometric Design has particularly caught my attention for a few years now. 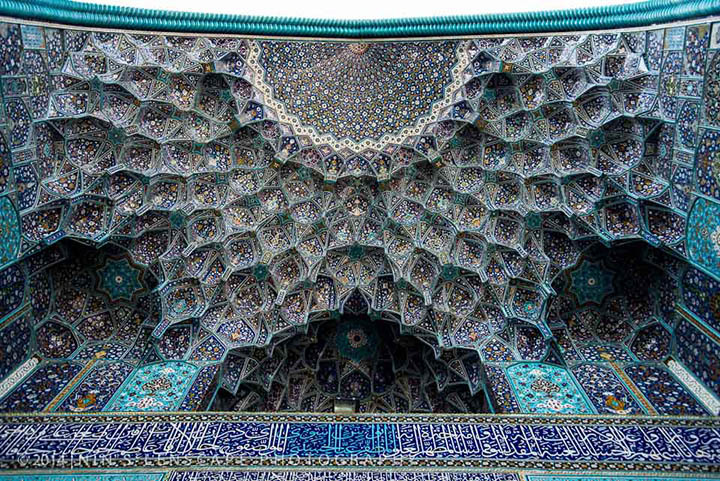 Hence, I plan on making my final project and exploration of the aesthetics and functionality of Islamic geometry by designing an object for interiors. 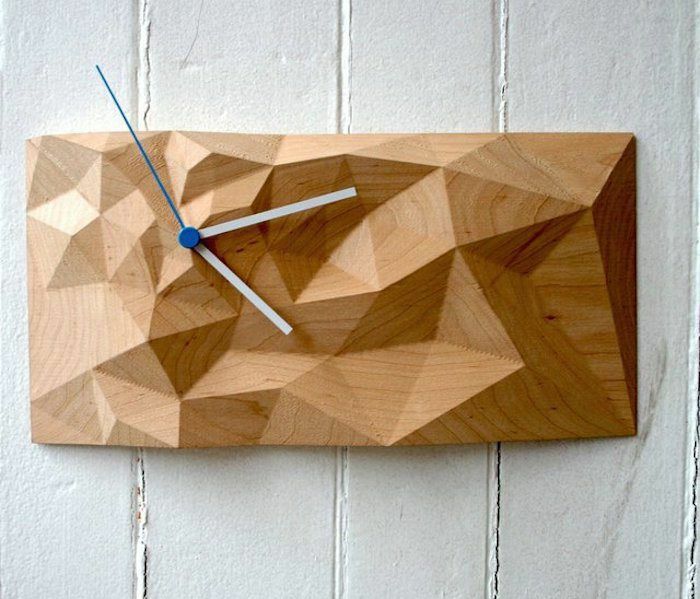 Beyond the timely reminder of identity and belonging, The wall clock will be a play on wood and light to convey time in an unexpected way. 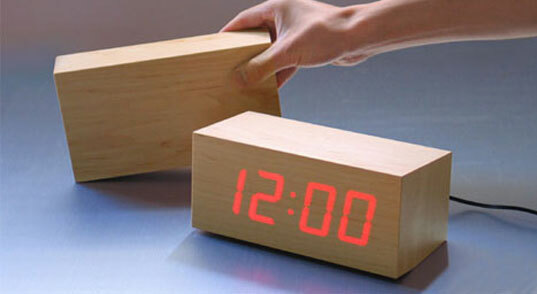 It will project light from within the clock as a message that can be read on the surface of the wood. The clock will hang as an object of decoration that tells time every 5 seconds. 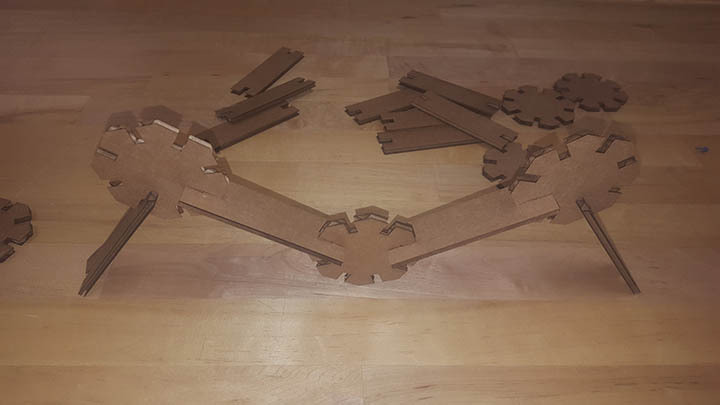 I plan on making the final 2D design in illustrator, extruding the 3D shape in solid works, and printing a miniature clock using the Sindoh before I start working with actual wood. I will design the electronics separately until proven to work. Then mount everything into the final product. January - Inspiration and Research. This was my first time coding, first time designing a website, and the first time I ever heard of Git. I had no idea what I got myself into, but here is my process. First, is to understand that a Terminal is where all my coding activity will happen. A terminal is the Microsoft word for coding language. I found the Terminal built into my leptop (Command F> "Terminal") and I downloaded "Sublime" online. 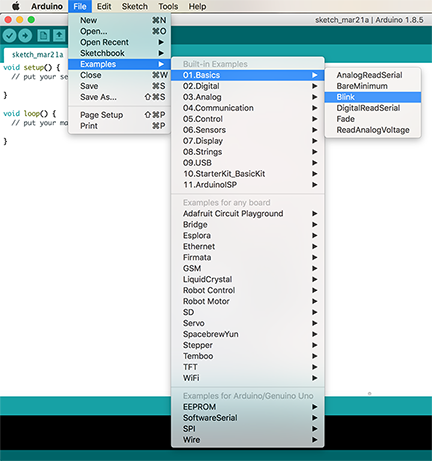 Sublime is a free color-coded software that helps write and read code. 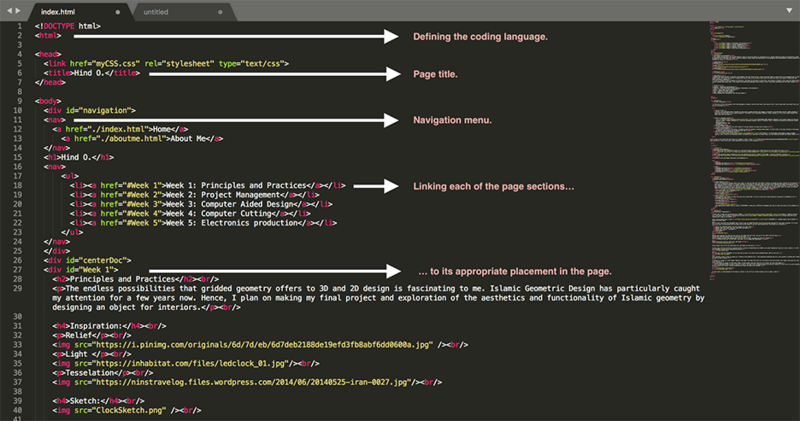 Codecademy HTML beginner lessons are a great resource to get you started in HTML. I highly recommend it. I used the Codecademy beginner code as a template, then I replaced the headline and paragraph content with my own. Until I did a tutorial I was still unaware of the gap between my vision and my skills. The first version of my website was almost discouraging. Instead of giving into self-doubt, I decided to make the website a 6-months code project. In other words, I was okay starting at the basics as long as I make progress on the website over time. Over the weeks I will be adding CSS code in increments until the website is done. Step 4: What the heck is Git? It is easy to get frustrated with jargon as a beginner. Until I found this tutorial, there was no way I could understand the Lecture on Git Commands. The tutorial goes over all the basics without being too overwhelming for beginners. 1. Learn what is the "ls" and the "cd" command in your Terminal. In brief, “ls” is the command that allows to list all items within a document in your computer, while “cd” is the command that allows to enter a document. Example: Let’s imagine I have only 2 documents in my entire computer “Document A” and “Document B”. “A” is where I keep two of my favorite pictures “Picture 1” and “Picture 2”. And “B” is where I keep two of my favorite songs “Song 1” And “Song2”. By typing the command “ls” in the terminal and hitting the enter key, the terminal will list all documents in my computer. In this case: “Document A” and “Document B”. If I want to open "Picture 2", I will need to use the “cd” command to enter into “Document A”, listing all of its content, then opening “Picture 2”. In the terminal this process will look like the following. 2. Now that I know how to locate my code and how to use the terminal, I need to do 3 things as explained by Jonathan- instructor: Add code to Git, commit it in Git, and push it to Git. The three actions will be fulfilled through 3 different commands: git add -A, git commit -m with a brief commentary, and git push origin master. I went back to the GitLab guide to Basic commands. 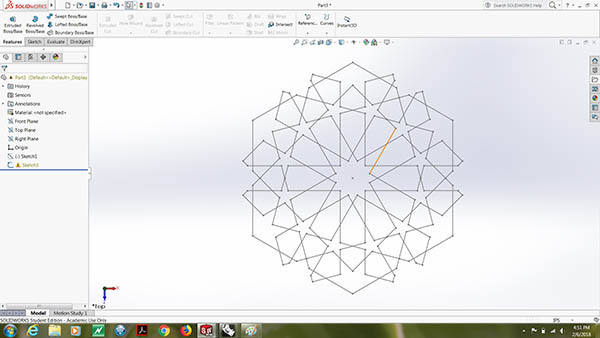 The simplest yet most informative resource to understand Islamic geometry is a TedEd lesson by my role model Eric Broug. 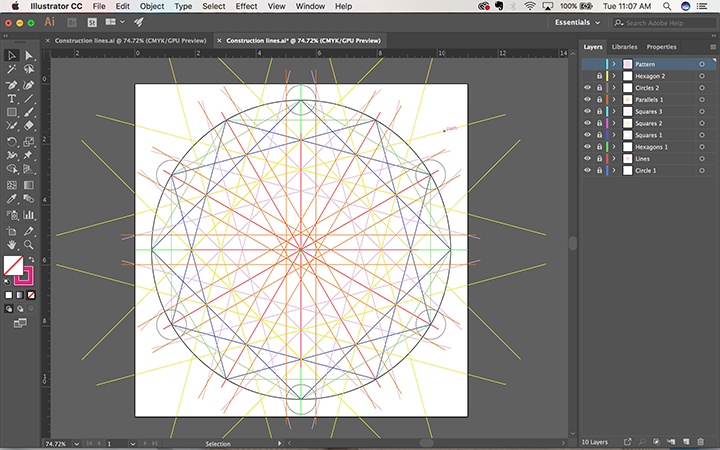 Once I got the basics down I decided to start with building the grid of a simple 6 fold shape. I used Sara Khallaf’s tutorial. I chose to work with Adobe Illustrator and SolidWorks. Very un-intimidating machine. Once I had a path, it took Jon (the Lab’s Guru-Hero) 5 minutes to explain the basic function of the machine. There are two things to watch for in Vinyl printing: 1. The Knife 2. The power. Both serve the role of defining the depth and precision of the cut. Depending on your project, you should run a few tests adjusting the two features in order to get your desired outcome. In my case, the pen force was set at +2, and the knife's origin was at it default setting. As for the design, I used the same Illustrator file I worked on last week. 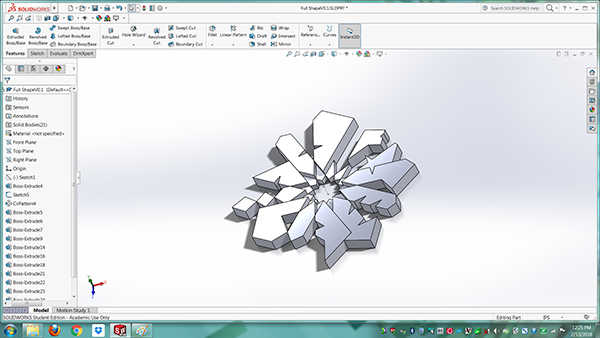 I stopped working with Solidworks this week and downloaded Fusion 360 tu learn more design tools. Two videos gave me the basic knowledge I needed to make the Press fit kit with parametric design using both variables and constrains. My Speed/Power/frequency was on a scale of 50/50/1500. I would use a different arrangement next time to cause less burns to the cardboard. Last time I worked with electronics was in 2009! This +200 min tutorial was a life saver when it comes to remembering the basics with a x1.25 speed. I highly recommend spending the time to go through them before even checking Ali page on the FabISP. 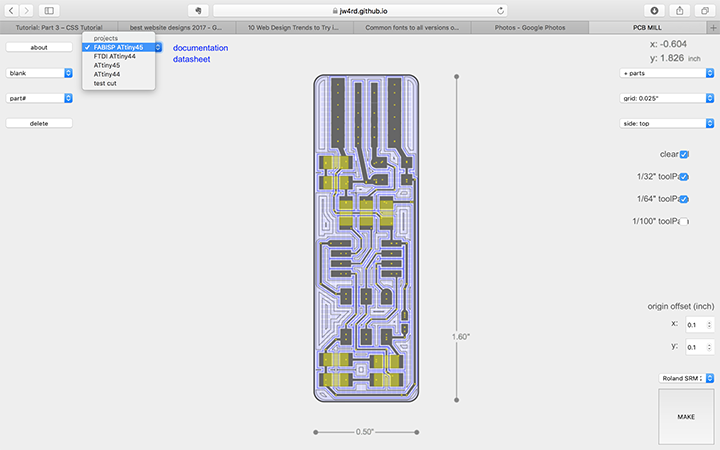 Once I got my basics down, I used ShieldMill- Jonathan Ward's app on Github- to print my circuit board. Select Clear all, 1/32" tool path, and 1/64" tool path. The app will generate two files for you: one for the 1/32" drill bit tool, and one for the 1/64" drill bit tool. Always start with the largest tool. In this case the 1/32". Once you placed you Board and mounted your drill bit into the mill, go ahead and find your origins. Repeat the process with the 1/64" tool. And Voila! Once printed, time to hit the electronics lab, and figure out the parts. In this step, both the tutorials I watched and Ali’s article on Demystifying the FabISP, were useful background resources to have. However, it still took Jonathan’s assistance to understand my board. 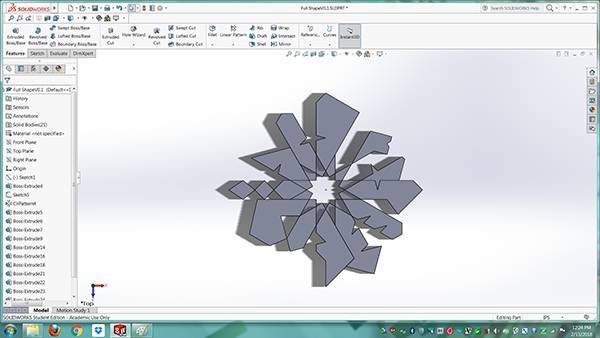 PS: Juan and I used the ShieldMill for our test cuts as well. It is hard to get anything bellow .005 it turns out. Think of a solder as a heat hugger! Wherever heat goes, the solder will hug. 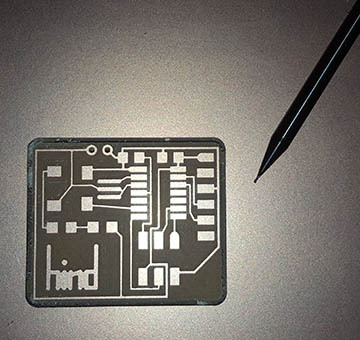 So it you heat up too much surface, your solder will spill over the whole surface. A tiny amount is enough. It only takes solder a brief contact with your parts for it to stick. So trust the solder. Use the magnifying glass as much as you can! I know it can seem to be an obstacle between you and your project at first, but it is worth sticking to it. It helps your poster, prevents breathing the fumes, and saves your eyesight. At this point, my understanding of the board is shallow. I bet it’ll be a steep learning curve in about a week. Assignment: Redraw the Echo Hello-World board, add a button and LED (with current-limiting resistor). 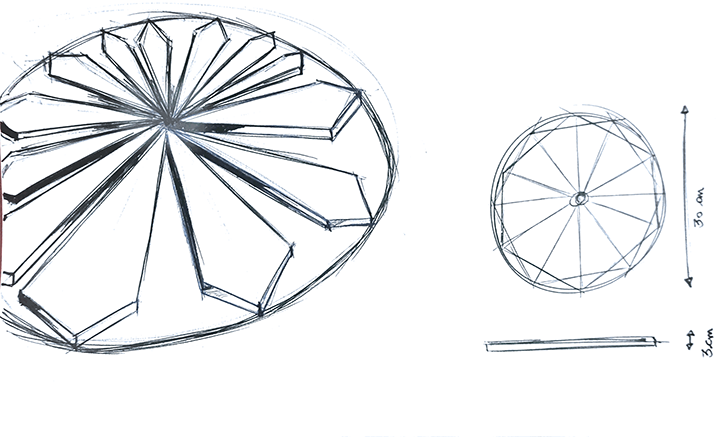 Double check the design rules, make and test it. 1. 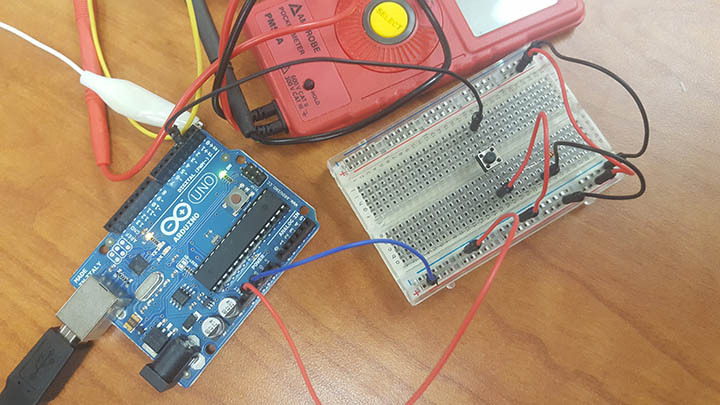 Understand circuits, parts, voltage, and connections so as to be able to read and design schematics. 3. 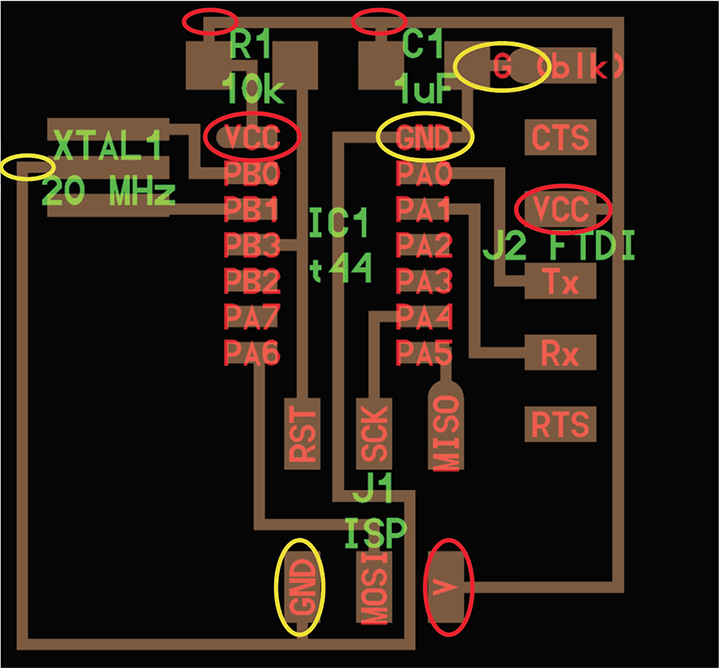 Make a new schematic to the FTDI board with an added button, LED, and Resistor. Step 1. 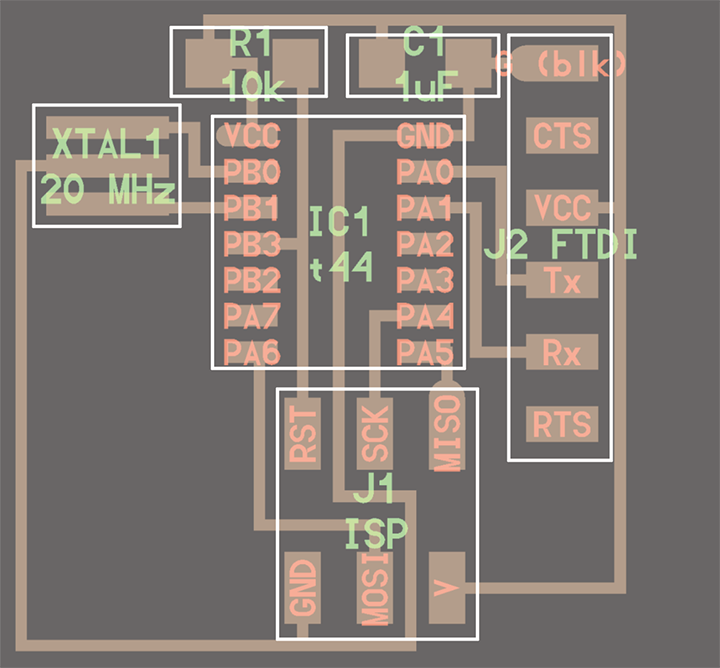 Understanding integrated circuits and micro controllers. Since I am new to electronics, I did myself a favor and spent time on watching youtube tutorials about the basics of electronics. The Youtube channel that I found to be most helpful for someone who has no idea what an integrated circuit is, is CodeNMore. It is important to understand the basics of an integrated circuit before we jump into micro controllers, because a MC is an advanced version of a simple integrated circuit. Understanding an integrated circuit also helps you read the MC’s Datasheet without feeling too lost. The high-performance, low-power Microchip AVR RISC-based CMOS 8-bit microcontroller combines 4KB ISP flash memory, 256-Byte EEPROM, 256B SRAM, 12 general purpose I/O lines, 32 general purpose working registers, an 8-bit timer/counter with two PWM channels, a 16-bit timer/counter with two PWM channels, internal and external interrupts, an 8-channel 10-bit A/D converter, a programmable gain stage (1x, 20x) for 12 differential ADC channel pairs, programmable watchdog timer with internal oscillator, a internal calibrated oscillator, and three software selectable power saving modes. By executing powerful instructions in a single clock cycle, the device achieves throughputs approaching 1 MIPS per MHz, balancing power consumption and processing speed. The Datasheet however, will give you a better insight of HOW the MC fulfills the above description. Compare the drawings in the data sheet and the trace of the MC in the board. Step 2: Read the Echo hello-world board schematic. The first information to look for when reading the board is the components’ positions. 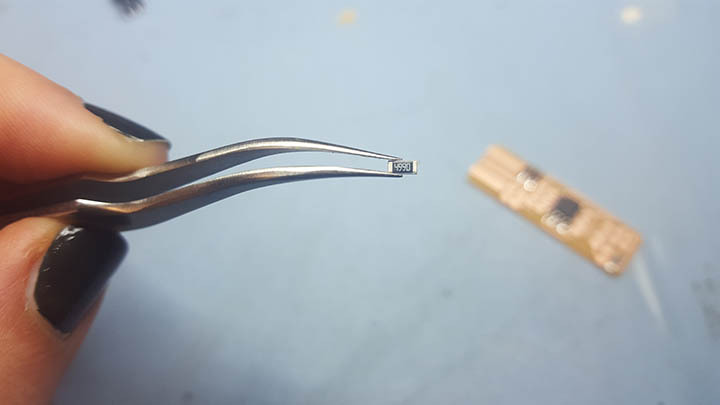 If you don’t know how a Crystal connects to a circuitboard, you will not be able to recognize or pinpoint it. For an electronics beginner, this could be a real challenge. The picture bellow boxes each of the components of the board. The board is showing 6 components that we can recognize through the units specified in green. 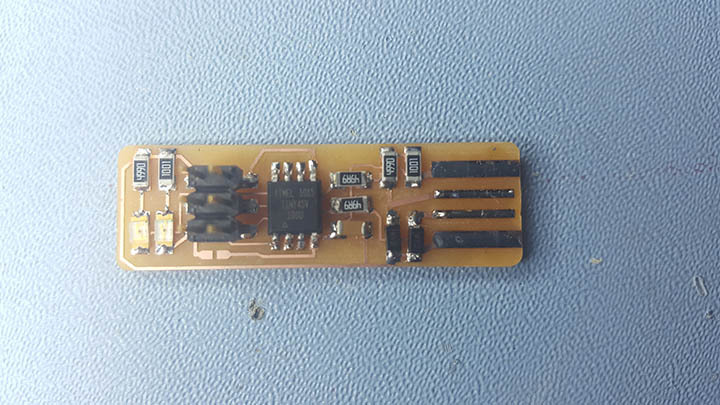 J2 - FTDI : Another connection pin. - VCC - Voltage at Common Collector, which is a positive electrical connection. Think of it as the source of the current. VCC s circled in red. - GND- Ground, which can be thought of as the negative or neutral connection there the current exits to. GND is circled in yellow. Step 3: Identifying the challenge of adding a button, an LED, and a Resistor. I chose a Green LED and a 4.9 k resistance. That was the easy part. The challenge was in figuring out the button design. - and that my button should be connected to VCC, GND and to the part I want it to control. In other words, my button is 1. oriented, and 2. connected to three other board parts. 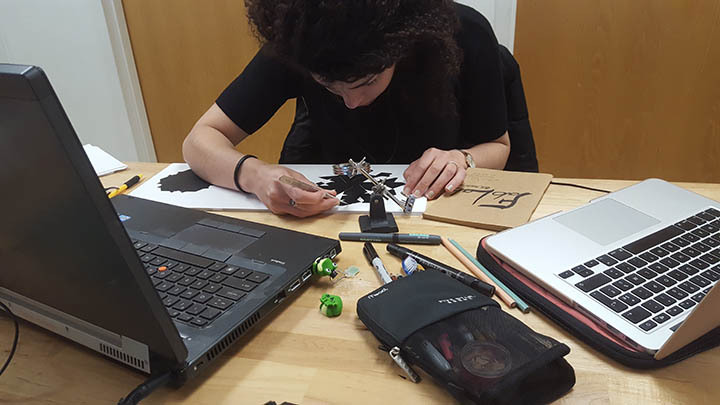 Step 4: Designing the board. Step 5: Milling and Soldering the board. 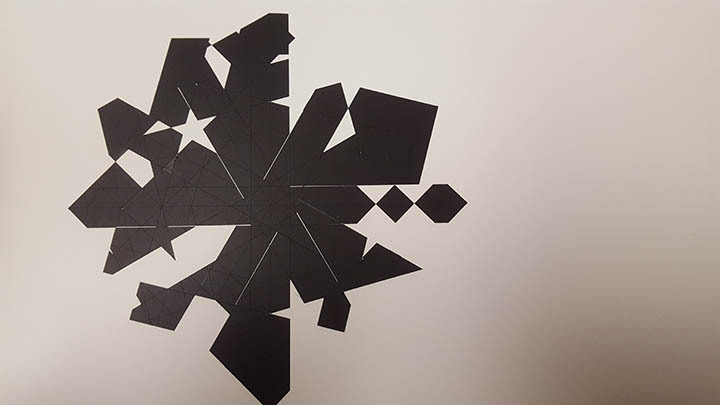 - Touching paths of the crystal: When I milled my board, neither the 1/32” or the 1/64” were precise enough to disconnect the lower traces of the Crystal. 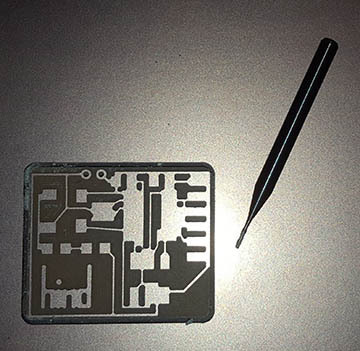 The GND connection of the Crystal was connected to PB1 of the MC. I thought of redoing my board all together, but I ended up manually disconnecting the copper on the two pads with an exactor knife. 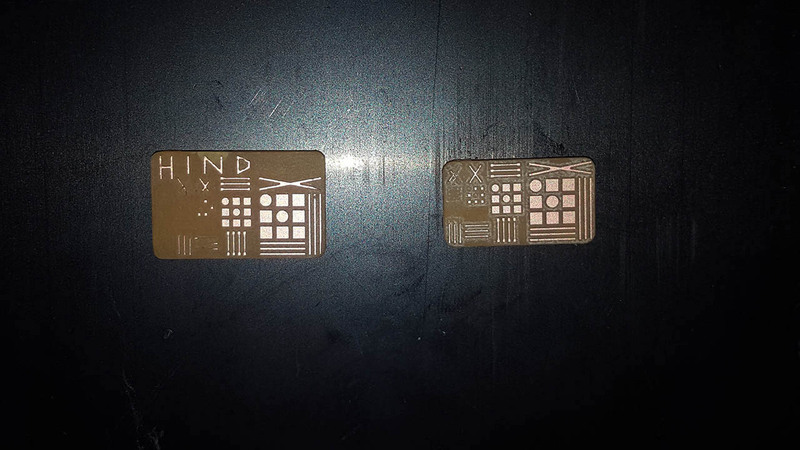 - Pads under the button: I tried to be proactive when designing the button pads so as to make soldering more convenient, but the pads still ended up 1mm wider than expected and underneath the button. I fixed this by 1. putting the solder on the pads, 2. Placing the button where it should be, and 3. 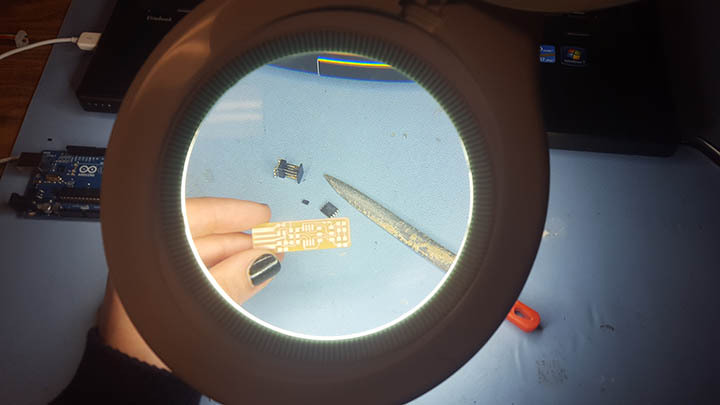 Applying heat between the button’s points of connection and the solder. 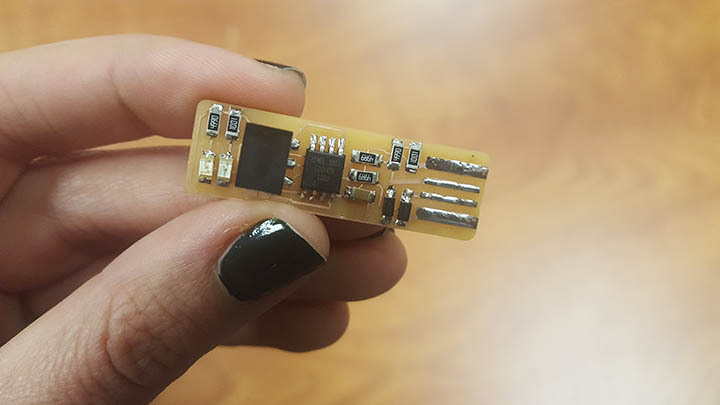 Assignment: Read a micro-controller data sheet. Program your board to do something, with as many different programming languages and programming environments as possible. 1. 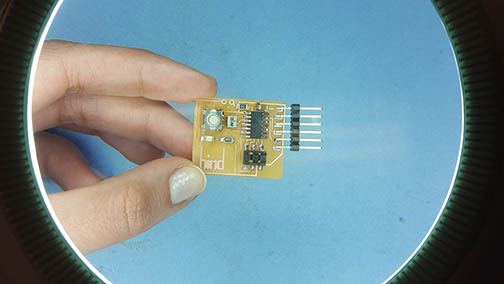 Identify relevant information in a micro-controller data sheet. 1. Understand the basics of coding in C.
2. Making LEDs blink in a timely manner. 1. 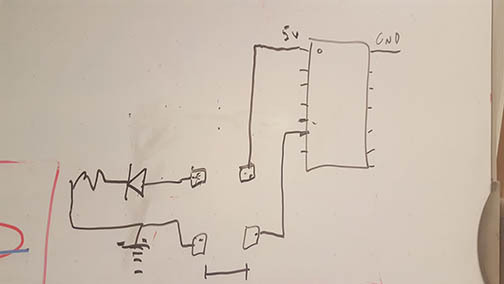 Have you documented what you learned from reading a micro-controller Datasheet? 2. What questions do you have? What would you like to learn more about? 3. 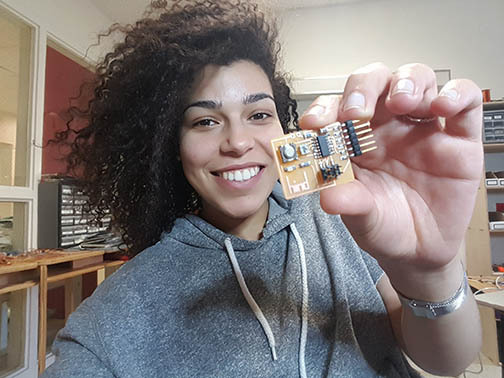 Have you programmed your board? 4. Have you included your code? Step 1: Understanding the Data Sheet. A micro-controller is an advanced integrated circuit with a complex installation of comparators. After reading through the Datasheet, I still have questions about bits and bytes, binary systems, and how do electronics contain memory. Step 2: Understanding the assignment. Define what you want your board to do- in my case I want it to blink the Red LED every second and the Yellow LED every minute. 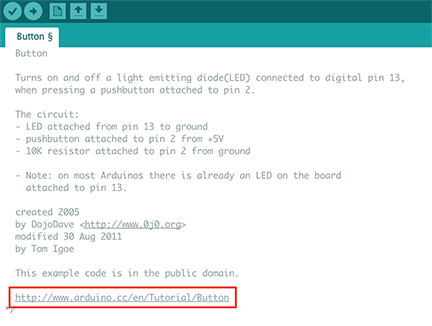 Connect your Breadboard and your Arduino is different ways by starting with the tutorials available inside the first lines of comments in your example code. Experiment with the relevant example to your project and build the closest code to what you want done - in my case it was the Blink example. Once you understand your limitations, break down your project into more logical tasks that can be translated into code language - in my case I realized I can’t code for both LEDs under one IF statement.